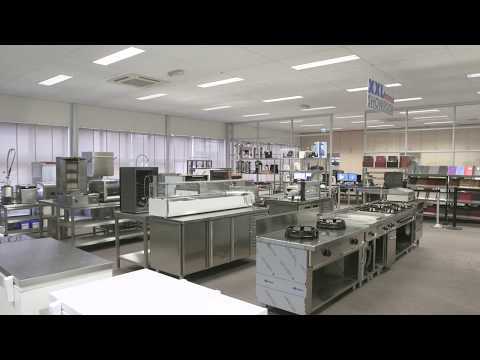 XXLhoreca is one of the largest suppliers of catering equipment in the Netherlands, Belgium and Austria. As a company, but also as an individual, please contact our shop for industrial kitchen products , small kitchen equipment and, for example stainless steel products . The prices of the products in XXLhoreca be very beneficial because we buy strong across Europe. When it comes to fast delivery, good service and professional advice, picks up business with XXLhoreca always favorable. We are directly approachable and will always take immediate action to answer your questions and / or solve problems. We love tackling, in a way XXL! We try XXLhoreca of our customers to provide the most user-friendly as possible online shopping experience. We do this by keeping our website up-to-date and well-organized and provide the site of the most modern technologies. XXLhoreca offers the largest range of the Benelux in the field of catering equipment from A to Z! With over 20,000 products we are one of the market leaders in the UK and on its way to becoming one of the largest catering companies in Europe. Speed and reliability is at XXLhoreca very high priority. If we have the products in stock in our warehouse and ordered it for 14:00 then get the order the next day delivered to you. The products are not in stock in our warehouse but our main warehouse in Germany, the delivery time is 1-3 working days. XXLhoreca always has a low price and we guarantee it. Hence our "Lowest Price Guarantee". So you are sure that you will never pay too much for a product. If you for purchasing the same article can buy elsewhere for a lower price, please contact us (via phone or email) and we will do it cheaper proposal. For questions or complaints we are available 24 hours a day, 7 days a week available via email or on 075 to 6,151,433. XXLhoreca stands for quality. You will receive your orders at least 1 year full warranty. And on certain brands such BARTSCHER, SARO, VAMA & DYSON itself 2 to 5 year warranty. Not satisfied with a product or our service? Our Customer Service department is looking at you with a satisfactory solution.